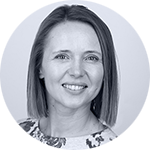 Beata joined Intelligent Partnership in March 2017 as Learning and Development Manager. She previously worked for Thomson Reuters as Senior Learning Consultant managing a variety of learning initiatives, designing and developing blended learning solutions (with focus on eLearning). Prior to that, Beata worked as CRM Learning Specialist delivering instructor led training and CRM Deployment Executive where she was involved in roll out and training of Siebel CRM (also at Thomson Reuters – 11 years in total). Outside of work, Beata enjoys spending time with family and friends, travelling, reading and yoga. She is also interested in alternative medicine and NLP.